Spaghetti Strap Backless Wrap Cover-up Only $6.97 PLUS FREE SHIPPING! 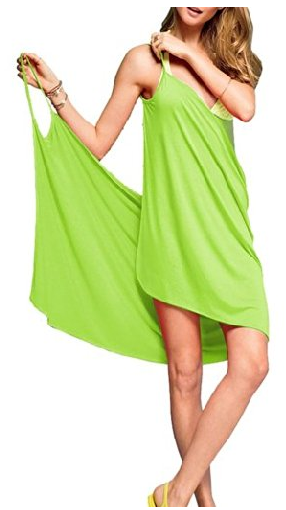 You are here: Home / Great Deals / Amazon Deals / Spaghetti Strap Backless Wrap Cover-up Only $6.97 PLUS FREE SHIPPING! for a quick way to cover up on the beach. Looks cute with any suit style! Choose from several colors such as lime green, pink and white!